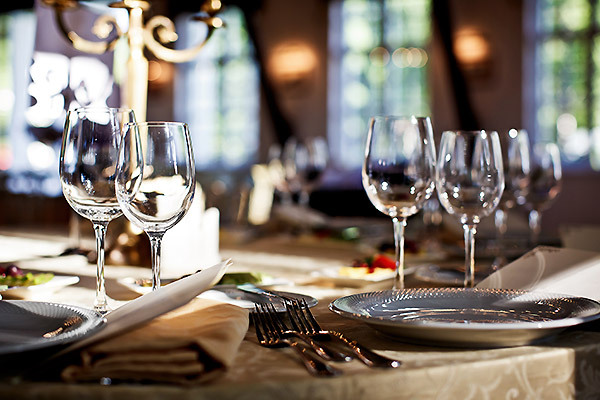 After a tumultuous few years the fortunes of Sherry may be about to turn, believes Gonzalez Byass, with the IWSR predicting sales of premium Sherry to grow 18% by 2021, helped by a boom in premium spanish restaurants and interest by younger consumers. Speaking at a seminar in ProWein this week, Gonzalez Byass’ chairman Mauricio González Gordon declared that “volume is dead” when it comes to Sherry, believing that producers should instead focus on increasing value sales by pushing its higher value offer. “We are quite excited about the latest numbers on Sherry,” Gordon. 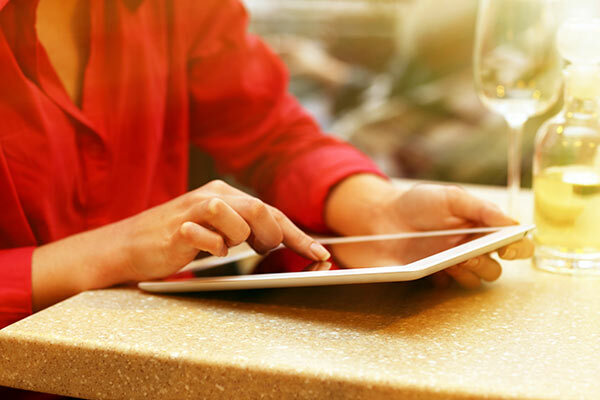 “We feel that consumers attitudes are changing. We are seeing a lot of younger consumers coming into the category and there is a lot of activity at the top end, talking about Sherry by the press and sommeliers. 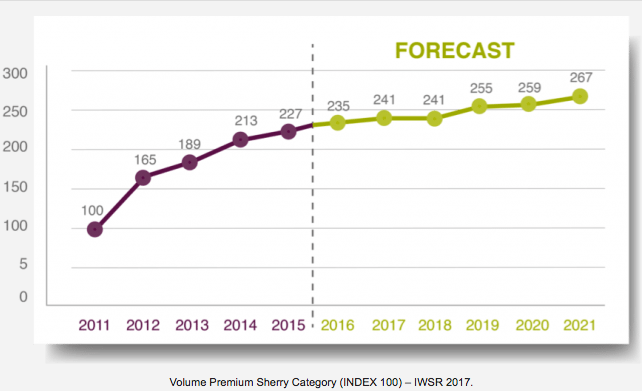 Figures crunched by the IWSR as part of its 2016-2021 forecast report project that volume sales of premium Sherry will grow 18% from 2016 to 2021, continuing an upward trend since 2011, albeit at a slower rate. Referring to the IWSR’s Sherry projections Gordon said: “It’s not huge volumes but the signs are very good and it’s helping the whole of the Sherry category to grow. We realise that our biggest challenge is education and we need to keep on because there’s a lot young consumers that hear about Sherry but don’t understand it. Education is not necessarily telling all the technical side of Sherry but just letting them try different combinations and different styles”. A rise in premium Spanish restaurants in the UK and growing small plate culture is also helping to boost the wider appeal of Sherry, says Gordon. 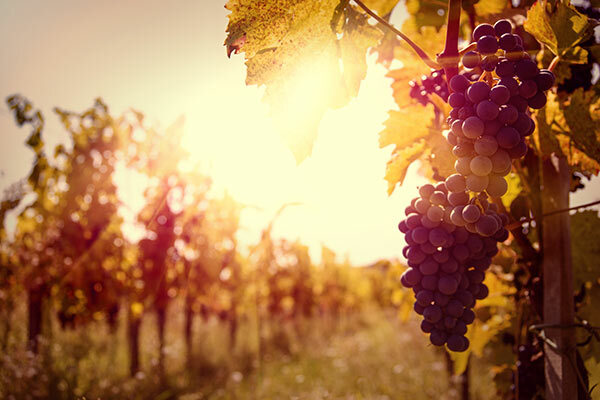 However such optimism for the premium end of the market is in stark contrast to the overall Sherry category, which has struggled in recent years to maintain its grasp on international markets. 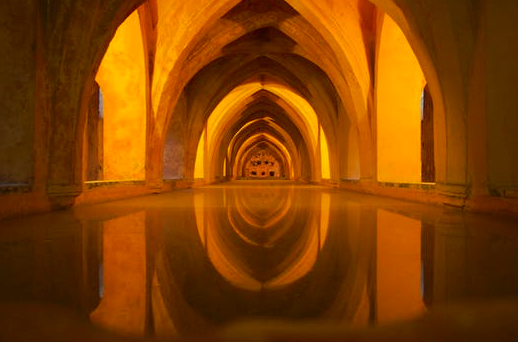 While total sales of Sherry in Great Britain grew by 8% last year – a positive step – the Consejo Regulador de Los Vinos de Jerez’ last annual report, from 2015, revealed that Sherry sales had all but collapsed in the category’s top five markets over the last decade, with global exports nearly halving since 2002. In the UK, which until 2010 was the category’s largest market, sales dropped from around 210,000 hectolitres in 2002 to around 100,000hl in 2015. 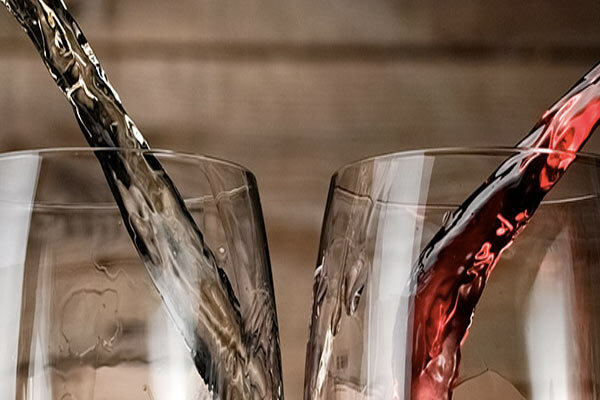 However the movement within the premium segment of the Sherry market is promising, driven by a wider trend in Spain, and the global wine industry, of premiumisation. 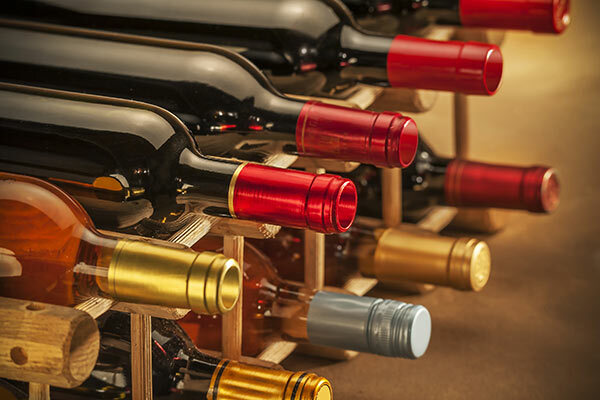 Sales of premium Spanish wines, defined as being bottles priced between $10 – $20, have also been increasing, rising to 14.9 million nine litres cases in 2016, with the IWSR predicting sales within this sector to increase to 19 million nine-litre cases by 2021. For Gonzalez Byass’, Gordon believes that the company’s more premium Sherry offer from its Tio Pepe stable will drive further growth in the future, including its Palo Cortado and En Rama expressions.